Tony Kushner in Conversation at Alley Theatre - Printer Friendly Page - Local News - Theatre Port Houston - Theatre Auditions News and more! Enjoy an evening with one of the most celebrated American playwrights of our time, Tony Kushner. After his presentation, Kushner will have an on-stage conversation with Alley Theatre Artistic Director Gregory Boyd. 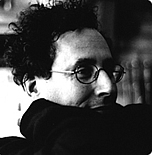 Tony Kushner is best known for his two-part epic Pulitzer Prize winning Angels in America, which Newsweek called “daring and dazzling. . . the most ambitious American play of our time..."
The recipient of numerous awards, including an Emmy Award, two Tony Awards, and three Obie Awards, Kushner’s other major works include A Bright Room Called Day; Slavs! ; Hydriotaphia; Homebody/Kabul; and Caroline, or Change, a musical for which he wrote the book and lyrics. He also wrote the screenplays for Mike Nichols’ film adaptation of Angels in America and Stephen Spielberg’s Munich, for which he received an Academy Award nomination. Monday, May 19, 7:30 p.m.
Click Here for More Info & Purchase Tickets!